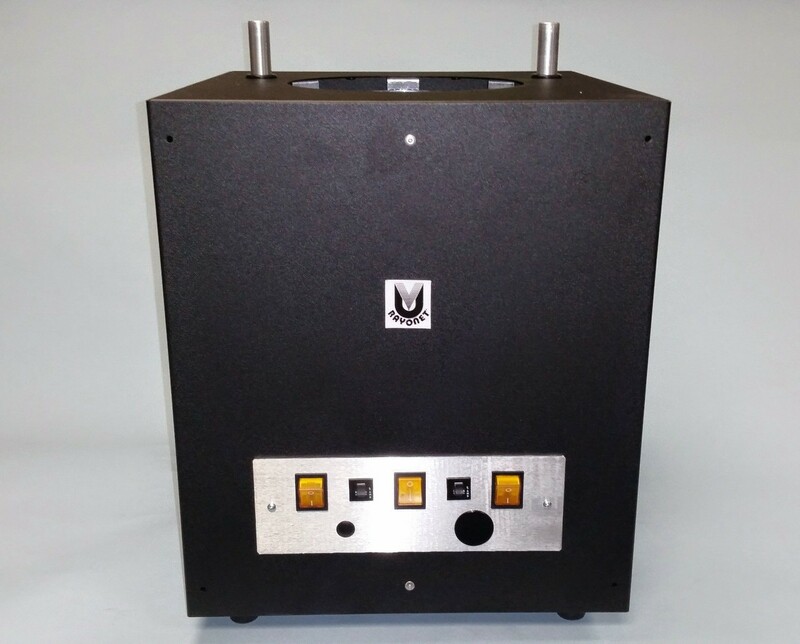 The RPR-200 model reactor utilizes the same chamber as found in our popular RPR-100 model. It was designed for vertical and horizontal operation. Unlike our standard 100 model, the 200 has greater flexibility. 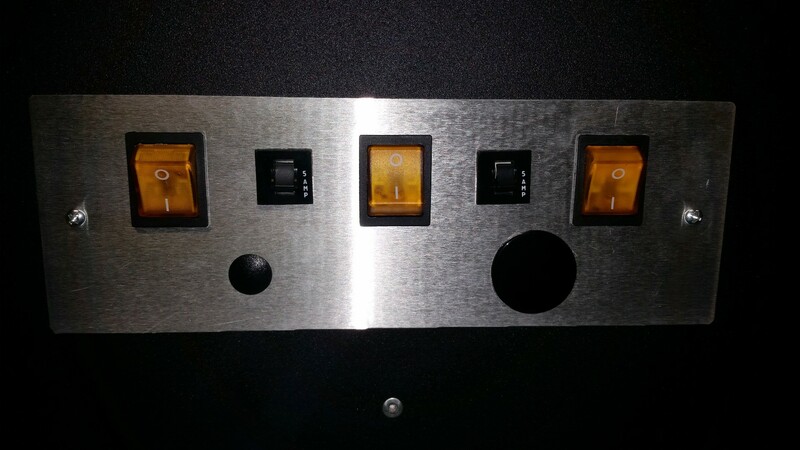 The Rayonet chamber lamps are controlled by dual switches located on the front panel. It is an intense source of ultraviolet light. approximately 1.65x10 photons/sec/cm3 at 2537A°. No special water jacketed vessels are required. Standard features include (16) 14 watt light sources at 2537A°, 2-built in support rods and a 250 watt convenience outlet. Reactor will operate for overseas operation (220/240v power grid - please be sure to request this in the notes of your quote request). Ideal for ICH Photo stability Testing. Economical - Long lamp life is 3000 hours. SPECIFICATIONS: Model RPR-200 is a compact 16" high, 14 1/2" square at base. 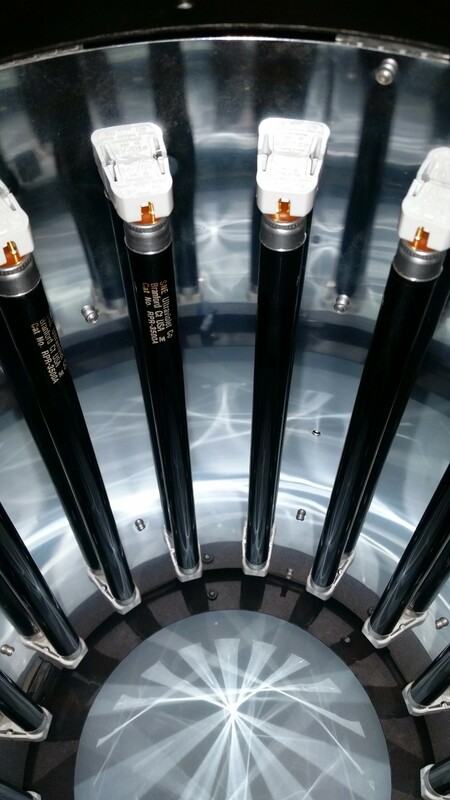 Reactor chamber is 16" deep, 10" in diameter, with 2/8" openings at top and bottom. 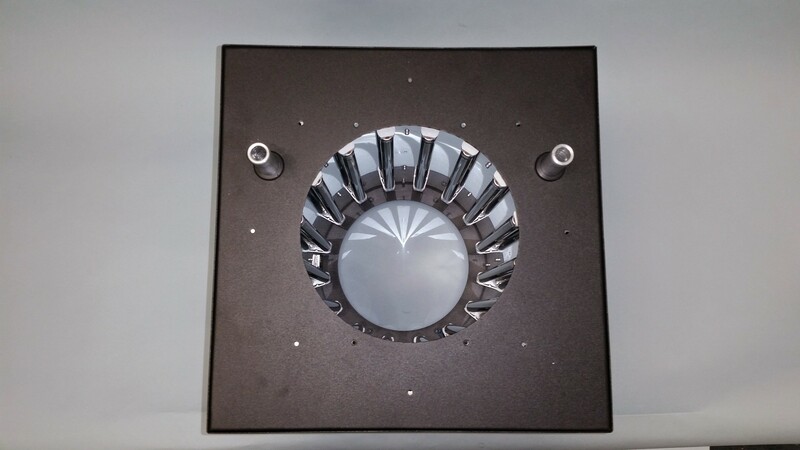 Light source arc length 9", operating temp 40°C; weight 50 lbs. ; 110/227 volts, 50/60 Hz., A.C. Total current consumption approximately 400 watts. The finish is an attractive and powder coated process. 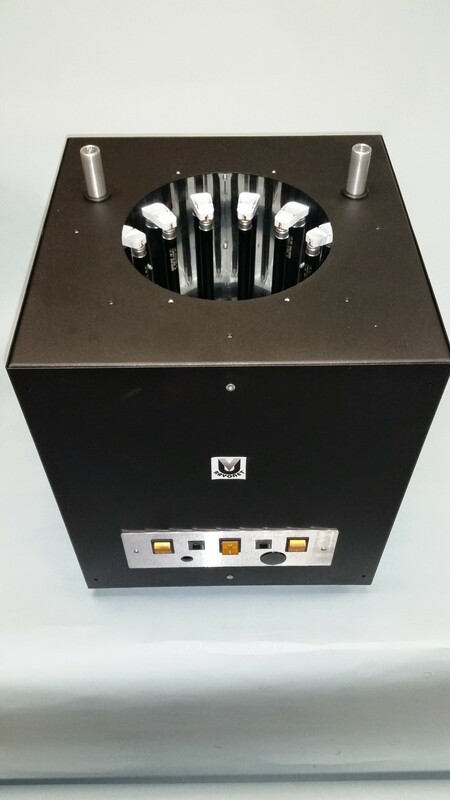 Watts of 2537A° ultraviolet -- 35 watts approx. Photos of 2537A° ultraviolet -- 1.65 x 1016 sec/cm3. 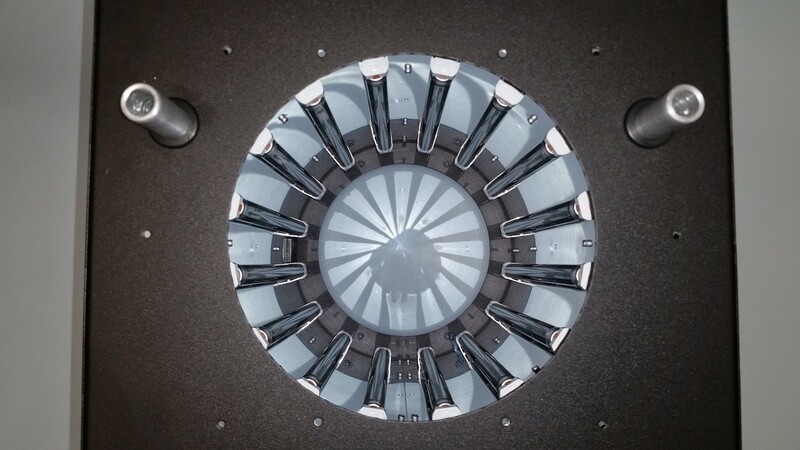 *Above data from new lamps with a reactor temperature of 44°C.